I'm back! After a whirlwind few weeks, I am ready to jump back into blogging. I got married on July 16th and it was a dream come true. We then went on our honeymoon to Disney World and Universal Studios. We had a blast! Weddings are great and our guests were SO generous. Now I need to take a chunk of time and write a thank you note to everyone. It will be time-consuming but worth it to give thanks to each and every person who helped us celebrate. Law School orientation is coming up quick and I have some cases to read to prepare for the mock classes. It will be a good time to get to work on my reading skills and perfect my highlighter process of note taking. Time to get back to blogging for real. I have a ton of blogging ideas not I just need to sit down at my desk and get to typing! I only have a few more weeks before school starts and I do want some time to relax. This weekend my husband and I are going to a baseball game with an old high school friend and we hope to check out the local zoo next week and find a good dog park. There must be some time for fun and relaxation amidst all the preparation and work. So that is what I am up to! Hope everyone else is enjoying these last weeks of summer! Good luck on getting everything done this week! Hope to see more posts about your law school adventures! 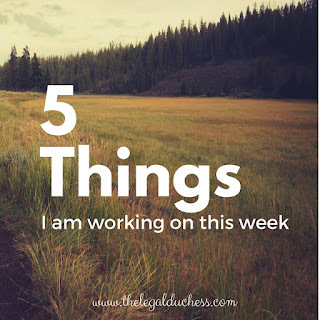 I'm starting law school in the fall too, and I'm looking forward to sharing my experiences with all the other 1Ls in the blogging universe!